More fun from San Francisco! 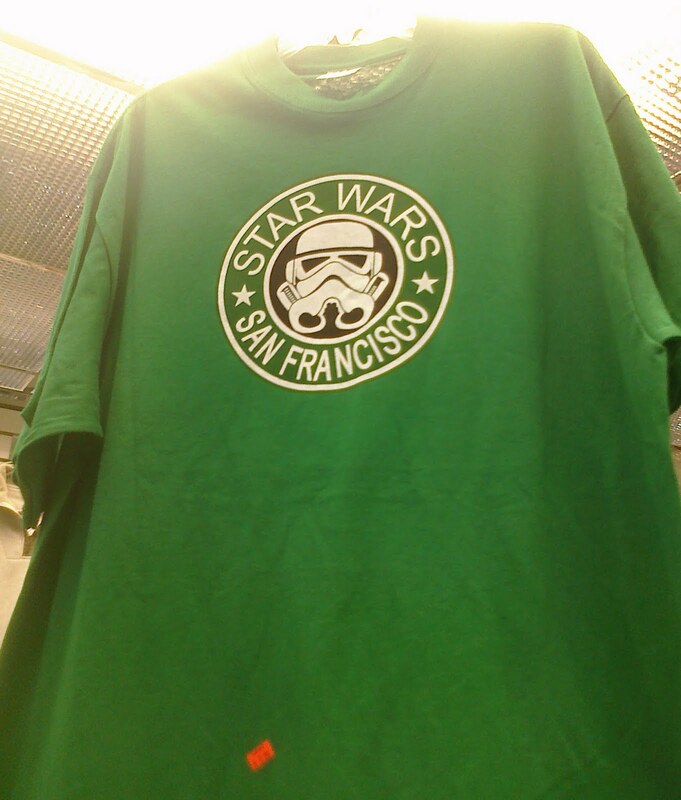 Today's entry is a picture of a t-shirt I found in one of the tourist shops. 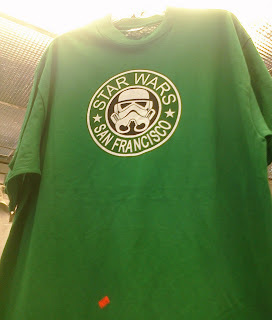 I'm not exactly sure what it is about Star Wars and San Francisco that go together. 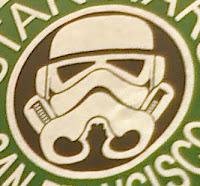 But what I found even more curious about this t-shirt is the image of the Imperial Stormtrooper helmet. The way that the breathing apparatus is drawn, it looks like some kind of bodily organ...such as kidneys or testicles. My parents went to San Francisco, and all I got was this non sequitur t-shirt. Much thanks to my friend, Aimee Pozorski. She's the one who drew my attention to the image.